My experience with the Interaction Design Foundation and their UX courses came from a desire to increase the skills of our internal team at lastminute.com group, our team consisted of 12 designers who all had a varied background — but none of whom had a very firm grasp on some key skills, like Usability Testing. I worked alongside my Design Director to explore different options which would enable our team to gain these skills, but there was a problem — we were an international team, with 3 designers in the UK, 3 in Spain, and 6 in Switzerland. Couple that with the fact that there were differences in the key skills that each of the designers were missing. We needed something flexible, that allowed our designers to work on the core skills that we were all lacking, as well as the individual skills that each team member needed to focus on themselves — all whilst being able to do this in their own time, wherever they happened to be. 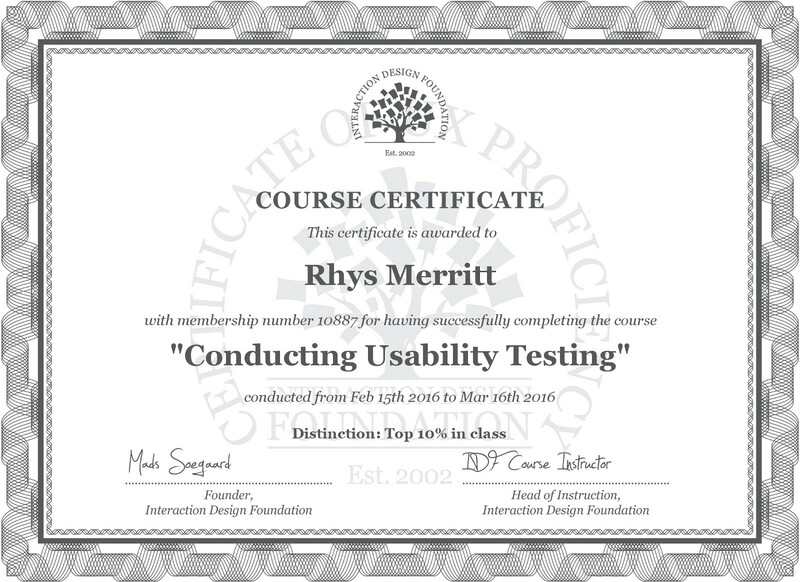 After looking into some courses like udemy, nngroup, and general assembly we were a little put off by price and availability — then we found Interaction Design Foundation, and it seemed to answer all of our questions, and then some. Not only was it remote friendly, but we only paid £96 per year for full access to any course! It was our answer. The highest value course that filled a gap in our team was Conducting Usability Testing. 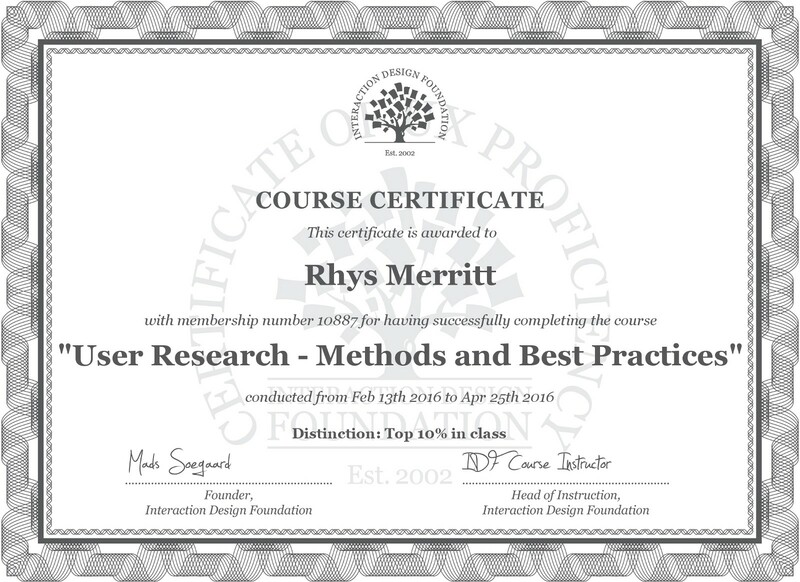 Most importantly though, is not that we couldn’t conduct Usability Testing prior to this course, it’s just that now we could actually get more value from doing it properly. There are a few things that I have noticed about this course which have helped me stay on track, and motivated. The progress that you see on your profile gives you a good bearing on how much work you have done, and how much you have to go. I find that I do this best in downtime, or with noise cancelling headphones on, since you need to pay a bit of attention to the videos. Luckily you are able to read the questions before watching, so it’s not a memory game, it’s a genuine learning experience. The large network of people who are familiar with IDF make getting help very easy, and there are actual meetups that happen from time to time in main cities — but even if you don’t attend those, getting help is dead easy. 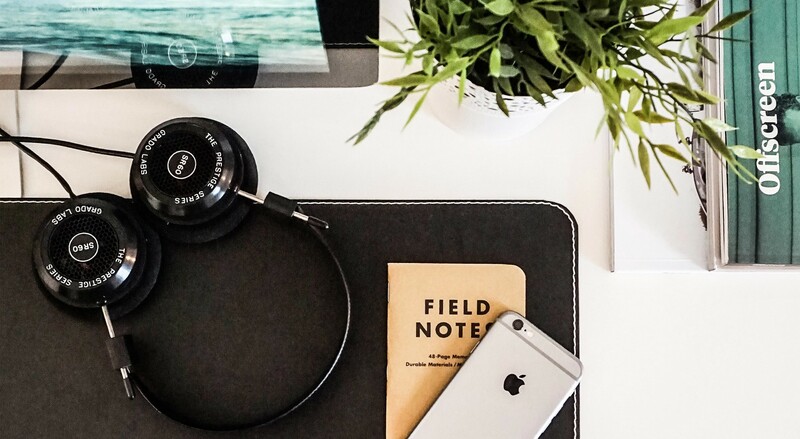 IDF is the right way to go for companies, studios, agencies, or even solo practitioners, especially if you are on a budget. The availability of courses is something I’ve not seen in any other offering, and the platform for consuming the content is straight forward, and pleasant to use. I couldn’t recommend this enough, and I’ll definitely continue to use them.